Fourteen days. Thirty-two presentations. I think that’s a personal record. Man, am I SHOT!!!! I’m on a plane today, headed back home after being out of the country for a little over two weeks. But, oh my, was it worth it! William Temple, former Archbishop of Canterbury, is quoted as having said, “If your concept of God is wrong, the more religious we get, the more dangerous we are to ourselves and to others.” These past two weeks were spent endeavoring, in keeping with the ministry of Jesus Himself, to help others see a more beautiful and accurate picture of the character of our Heavenly Father. The first seven days were spent at the Sylvan Lake Adventist Church and the second seven were spent at the Red Deer Adventist Church. 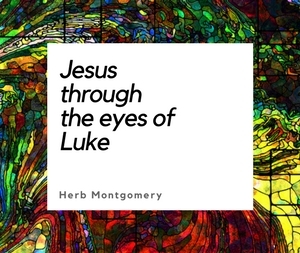 Each night, we sought not to simply follow Jesus’ teaching but to catch a glimpse of Jesus’ own conception of the character of our Heavenly Father and, through allowing Jesus to change the way we see God, experience a radical change in every area of our lives from the inside out. This was a series aimed at the community around this church, so we not only looked at how believing in God as a being defined by the teachings of Jesus changes our spiritual lives but also how it heals our deepest emotional wounds, setting in motion changes in every area of our lives, physically, mentally, financially (which is the largest area of interest in most folks’ lives today), and restoring us to the love that we were made for. As paradoxical as this sounds, the way up is really down. The secret to experiencing purpose, meaning, and fulfillment in our lives comes not in embracing our current American (or Canadian) cultural values but, rather, in embracing Jesus’ radically different picture of God and following His teachings of radical, self-sacrificial, other-centered love. “For if you want to save your own life, you will lose it; but if you lose your life for my sake, you will find it” (Jesus, Matthew 16.25). Jesus came not to establish another “religion” but to establish a very different kingdom in the hearts and lives of people. And, as overused as this phrase is in our modern-day lives, Jesus, nonetheless, came to start a subversive revolution, and He invites us to join Him. Jesus called for a complete revolution in our understandings of God and how we allow that picture to be lived out in our lives, especially, if not solely, in our relationship to others. Testimony after testimony was given over the last two weeks as those who attended, in sometimes very emotional ways, expressed how these two weeks had changed their lives! I too was impressed with those who shared how this event had affected those who came out. Between the two churches, we had over two hundred in attendance, with over fifty of those being form the surrounding communities. As a public speaker who has done his share of evangelistic meetings, I have to confess that, sometimes, you simply preach. But, other times, you truly feel that you are a conduit of something so much larger. It’s almost as if you are simply a witness to a connection being made between what you are saying and the hearts of those who are listening that leaves you standing in awe of just how powerful the truth of our heavenly Father really is. As these churches keep in touch with these precious souls from the communities of Sylvan Lake and Red Deer and as relationships continue to be fostered as these churches seek to continue the work of grace and love that was begun during these past two weeks, I cannot wait to see how God’s kingdom will be enlarged as a result of these meetings. Thank you, Red Deer and Sylvan Lake. And to each of you reading this today, thank you for your support of Renewed Heart Ministries. This weekend (April 1 and 2), I’ll be at Heavenly Valley Church in South Lake Tahoe. Please keep this event covered in prayer for me. Thank you in advance. Also – a small note – the I was just told that the Life Unlimited DVDs in our online store have just been marked down to clearance. I believe that we are working on producing a new set of DVDs. Regardless, feel free to take advantage of the clearance price on the older set. As soon as those are gone, we will start producing the updated ones. Together, we are loving like the sun, loving like the rain, and, truly, the kingdom is being enlarged.